Early in 1926, the Chairman of the Federal Capital Commission, John Henry Butters wrote a memorandum to the Rt. Hon. G F Pearce, Minister for Home and Territories, regarding the need for a new Assembly Hall in Canberra. Butters envisaged a hall equivalent to the Town Halls normally found in other [unplanned] Australian towns and cities. Butters wrote: ‘… It would appear to essential that with the considerable influx of population in the first quarter of next year, a good sized hall should be provided in which dances, concerts, and lectures could be held, and the functions usually provided by a Town Hall provided for. The time has not yet arrived for the construction of a Canberra City Hall, and this will, of course, need to be of monumental character worthy of the Capital City. ‘… Taking everything into consideration the Commission feels that a central Hall is necessary in the City, and that it should be provided so as to be available for use during the first winter that Parliament and the Public Service is here. 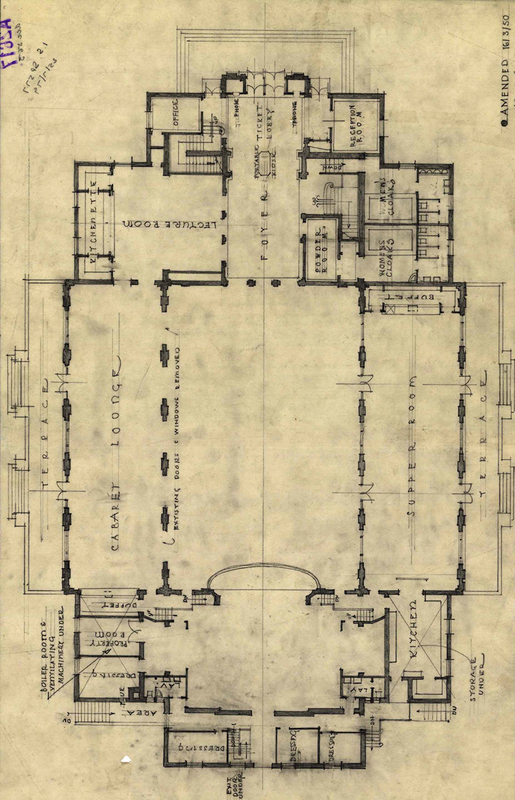 In order to provide ample facility for a number of the kinds of amusement which will certainly be in demand, it is proposed that the Hall should be placed in close proximity to the Hotel Canberra, that it should have a main dancing floor of between 80 and 90 feet long, and between 40 and 50 feet wide with a suitable stage, dressing rooms, kitchen for dance suppers as well as a supper place. The building will, of course, be of a permanent character, and of pleasing architectural appearance. By the time the permanent monumental City Hall is built it is felt there will be the necessity for an additional hall. As to the economics, it is presumed that the hall will have to be a charge on the general funds of the City, in the same way that any Town Hall is. This talk documents the architects responsible for Canberra’s City Hall, now known as Albert Hall.